Here at Huff ‘N Puff, we’ve been serving customers in Schenectady County and the surrounding areas for 40 years. We’ve served more than 35,000 customers, helping them improve their homes or make them safer and more secure. Our customers have learned to trust our name and count on us to do the job right the very first time. All products, including replacement windows, are installed by a technician that is certified to handle your most valuable investment. We use the absolute best in products for your home. These products are backed by warranties, and we further show our trust in our work by offering a warranty on all labor we do. We truly aren’t satisfied until you are completely happy with what we’ve done with your home. We recognize that your home is your biggest investment, and we do our part in ensuring that you have peace of mind about how it looks and functions. 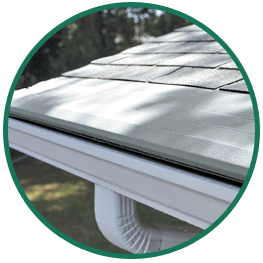 From new windows for better energy efficiency to gutter guards that keep debris out, we can do it all. Call us today at (855) 483-3678 or contact us online to learn more about what we can provide for your home. We offer an expert opinion from a professional with experience to help you determine exactly what is best for your home and your budget. You can trust our technicians to be honest, courteous and professional every time they visit your home.